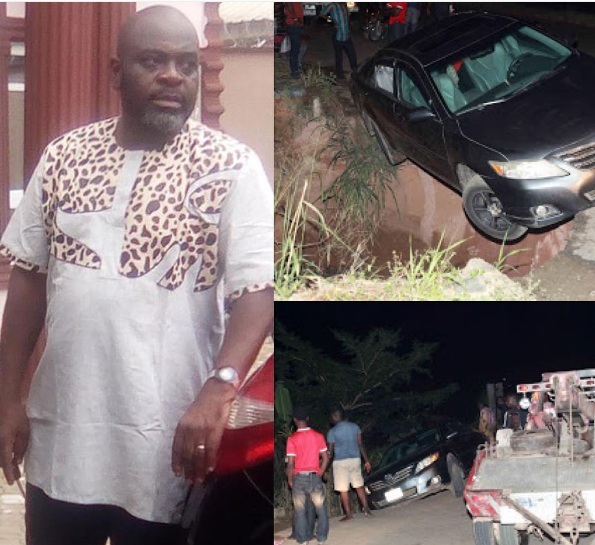 The veteran actor escaped death in Ibadan, recently, on his way home from a movie set. According to reports, it was only by the saving hands of God that the car did not overturn into the swampy ditch on the road. His car was said to be literarily hanging by a thread at the edge of the death trap.